One: Get a free Visitor’s Guide. The official Arlington, TX Visitor’s Guide is like having an Arlington expert tucked in your back pocket. Features include a list of top spots for family fun, a guide to international dining in Arlington, maps, shopping tips, and much more. Download a digital version or ask us to send you a hard copy. Four: Let the FUN begin. Need a place to hang your hat while you’re in town? No problem! With dozens of hotels in Arlington to choose from, the chances are good there’s a lodging option that suits both your budget and your groove. Best of all, you can book discounted lodging and attractions tickets together in just a few keystrokes with our online vacation packages. 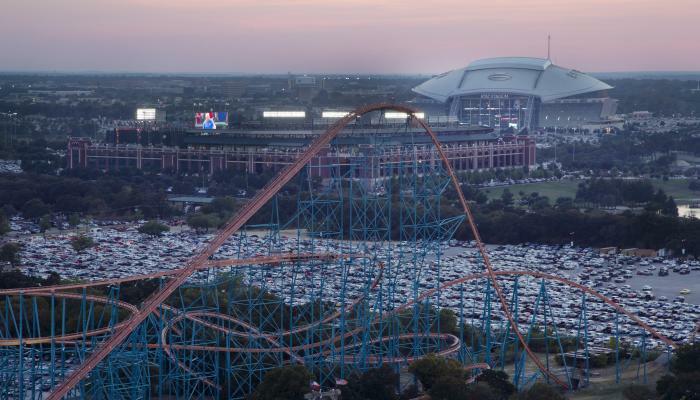 You’ll find everything from Six Flags Over Texas and Hurricane Harbor packages to opportunities for touring AT&T Stadium and Globe Life Park. Additionally, you can snag discounted tickets to some of the best attractions in the area, like Ripley’s Believe it or Not!, Sea Life Aquarium, Legoland and more! Looking to save a few bucks? Who isn’t? Check out some of these coupons, as well as an insider’s guide to free and inexpensive things to do in Arlington. Seven: Discover a new favorite restaurant. Nine: Get the lowdown on transportation options. Need help getting around? Check out Enterprise Car Rental, which offers a discount to Arlington visitors, or the Arlington Trolley, which provides free shuttle service from participating hotels to Arlington’s signature destinations. Ten: Load up on maps and apps. Eleven: Get acquainted with our local history. A visit to Arlington is always more meaningful when you know a little something about our community’s fascinating backstory and important landmarks.